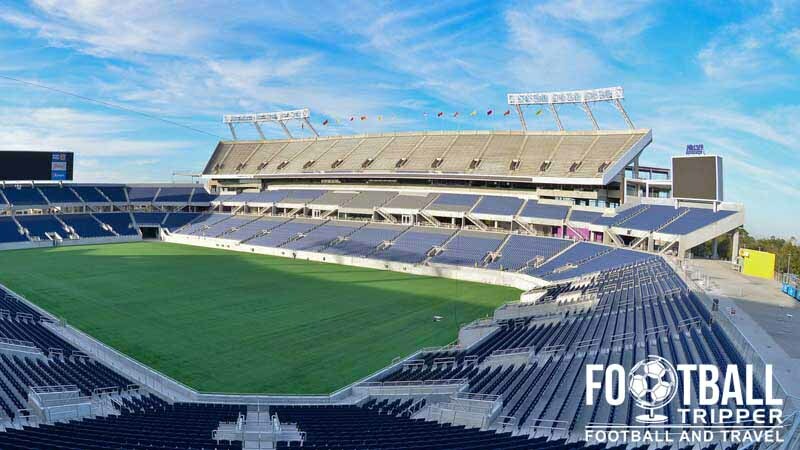 Built for American Football, the 65,000 capacity outdoor stadium will be home to newly established Soccer Club Orlando City for their inaugural season in MLS whilst their state-of-the-art new Orlando City Stadium is being constructed. The site on which today’s iteration of the Citrus Bowl Stadium sits on was first used for American Football matches as far back as 1936 when it was known as the Orlando Stadium. Initially capable of seating just 8,900 fans which was enough to satisfy attendances of the local college games, Orlando Stadium grew in size throughout the 20th century particularly in 1989 when large scale redevelopment occurred. Costing $38 million dollars at the time which converts to just over $200 million dollars in today’s money, the renovations were extensive and a secondtier of seating was added to give the ground even more strength to the visual pun which the name implied. Bowl of course referring to the arena itself as well as kitchen accessory which holds fruit. 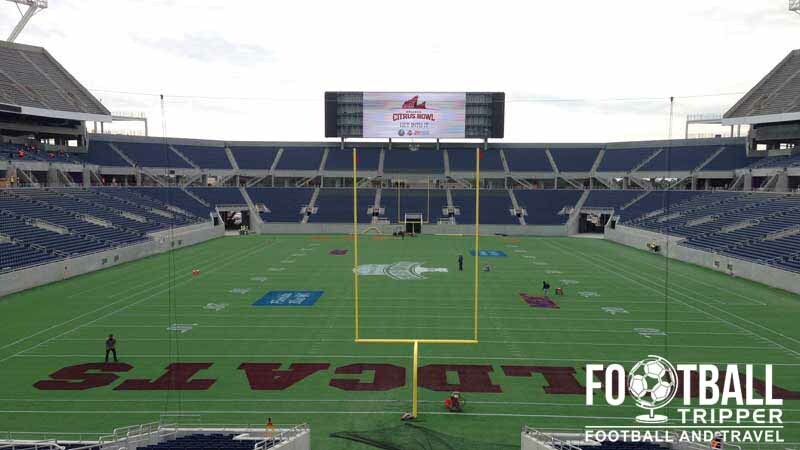 Whilst European Soccer fans may fail to see the appeal of playing matches in a NFL Stadium, the Citrus Bowl Stadium actually has a fine Soccer pedigree having hosted five matches during the 1994 World Cup. Attracting average crowds exceeding 60,000, the decision to temporarily home Orlando City FC during their inaugural season was not that as daft as it first appeared to outsiders. The previous iteration of Orlando SC who were a USL Pro League Soccer team had also previously used the Citrus Bowl in years gone by, and if construction of the new Orlando City Stadium goes as planned the residency will only be for a single season until 2016. The inaugural fixture was played on 8th March 2015 against fellow Major League Soccer debutants New York City F.C , with former AC Milan icon and designated player Kaka rescuing a point for the Lions after scoring a well placed free-kick. The newly formed club later recorded their first win in their history in the following game against Houston Dynamo. Below is a seating plan for the Citrus Bowl Stadium configured for the hosting of soccer matches. Newly established Orlando City are looking to form partnerships with pubs throughout the city so that fans from the local area have a local which is guaranteed to show the matches on the TV. The list is ever expanding but right now the three recommended bars downtown are: Elixir Bar Room & Hash House, Harry Buffalo and Wall Street Plaza. For the non-drinkers or designated-drivers in attendance there are several Tangerine Taps dotted around the concourses offering locally sourced orange juice amongst other soft drinks. In total there are 28 permanent stands including 14 on the field level, 6 within the plaza and 8 on the terrace. The food on offer within the concessions is a good mix between stadium classics such as hot dogs, hamburgers and pizza, and more cosmopolitan options such as mojo grilled chicken, BBQ pulled pork sandwiches and chicken tinga tacos. Orlando SC merchandise is available to purchase on match days from the vendors located around the stadium, however as the club have only just moved into the Citrus Bowl there’s no confirmation of permanent store which is open on non-match days. You’re best bet is probably buy your Orlando goods online from the official MLS Store. One of the many pop up shops which the club have been setting up in local shopping malls to drive interest in the new soccer team. 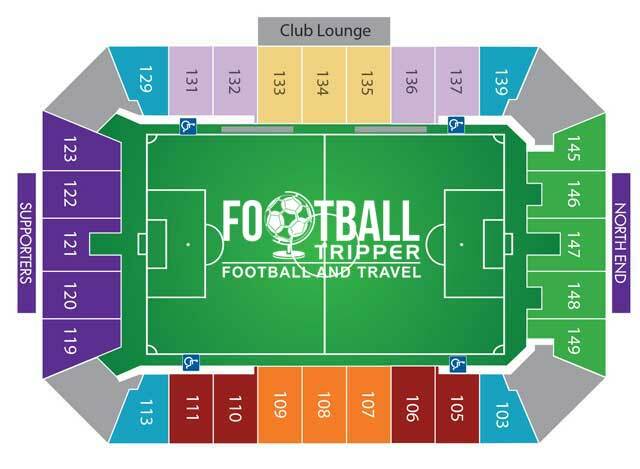 Orlando City SC don’t currently offer soccer fans the chance to undertake a tour of the Citrus Bowl Stadium, and as temporary residents it’s doubtful that they ever will. It’s more likely that they will offer tours of their new ground in the future however. Tickets to see Orlando City SC in action during their inaugural season can be purchased online from Ticketmaster who are the club’s official ticket partner. Soccer fans can also purchase tickets on the match day for up to three hours before kick off from either the north or south box office at Orlando Bowl. This is of course dependent on availability. 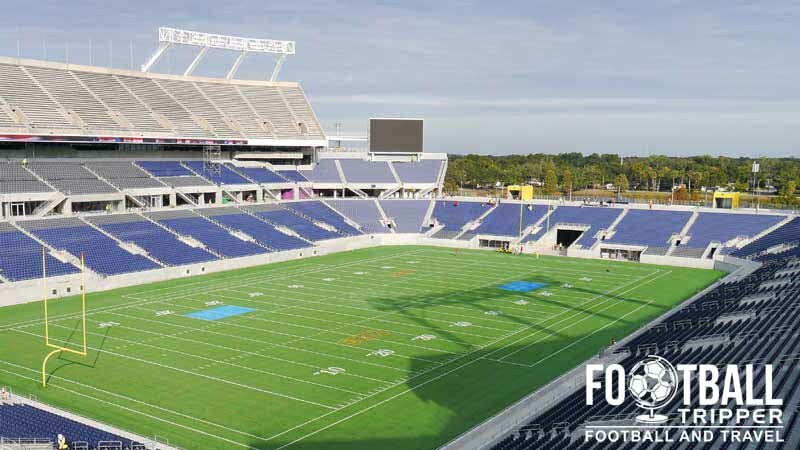 The Citrus Bowl is located a few hundred metres north of SR 408, approximately 2 miles or so west of Downtown Orlando. The rebranded exterior of Citrus Bowl to make Orlando City S.C feel more at home during their temporary stay. 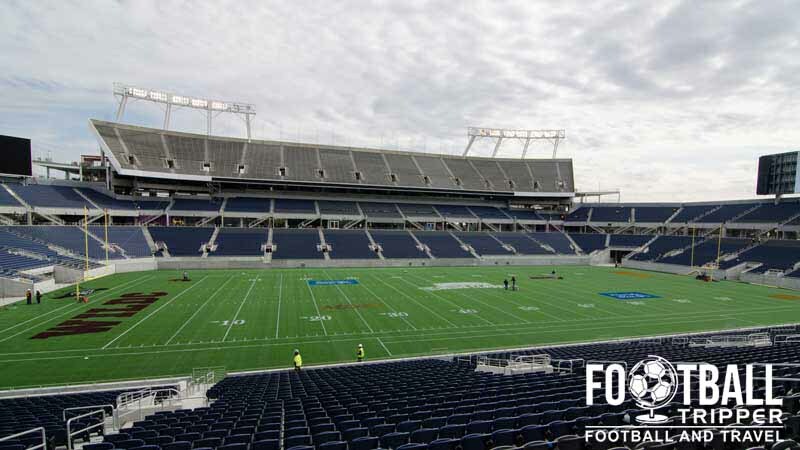 Citrus Bowl Pl Orlando, FL 32805, USA. Fit to host 60,000 spectators there are a lot of spaces available during Soccer matches as shown by this parking map, and fans can conveniently reserve a space through a newly introduced Click and Park scheme, although the official website of Orlando Citrus Bowl fails to provide a link. Thankfully parking is also available on the day, and yes Tailgating is permitted. Orlando fans grouping together in good numbers before kick-off. Located within a city which is famously tourist friendly there are lots of affordable hotels within a short distance from the Citrus Bowl including the likes of Best Western Orlando West, Crowne Plaza and Travelodge Downtown to name but three popular choices.